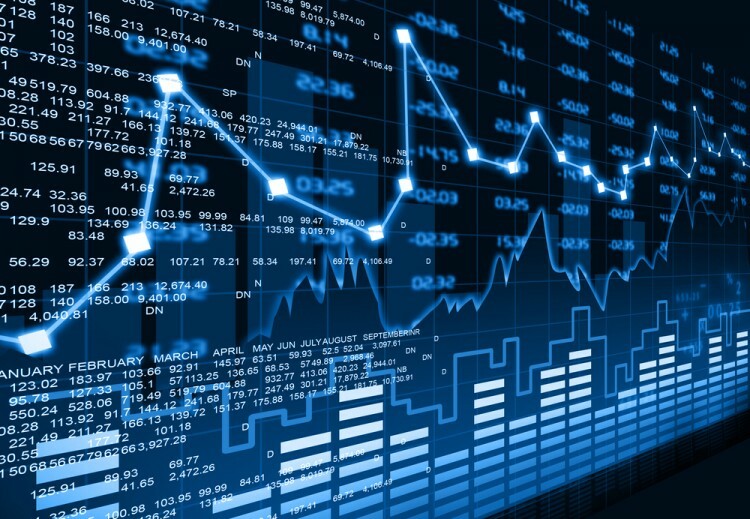 A whopping number of 13F filings filed with U.S. Securities and Exchange Commission has been processed by Insider Monkey so that individual investors can look at the overall hedge fund sentiment towards the stocks included in their watchlists. These freshly-submitted public filings disclose money managers’ equity positions as of the end of the three-month period that ended September 30, so let’s proceed with the discussion of the hedge fund sentiment on NIC Inc. (NASDAQ:EGOV). Is NIC Inc. (NASDAQ:EGOV) an outstanding investment now? The best stock pickers are definitely becoming more confident. The number of long hedge fund bets that are revealed through the 13F filings improved by 1 in recent months. 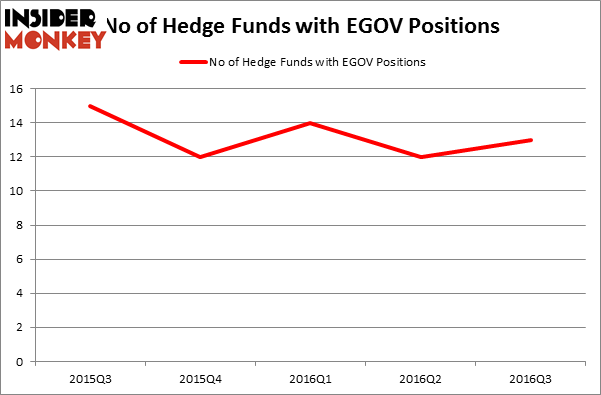 EGOV was in 13 hedge funds’ portfolios at the end of September. There were 12 hedge funds in our database with EGOV positions at the end of the previous quarter. At the end of this article we will also compare EGOV to other stocks including Noble Corporation (NYSE:NE), Enerplus Corp (USA) (NYSE:ERF), and California Water Service Group (NYSE:CWT) to get a better sense of its popularity. What have hedge funds been doing with NIC Inc. (NASDAQ:EGOV)? Heading into the fourth quarter of 2016, a total of 13 of the hedge funds tracked by Insider Monkey were long this stock, a gain of 8% from the previous quarter. Below, you can check out the change in hedge fund sentiment towards EGOV over the last 5 quarters. So, let’s check out which hedge funds were among the top holders of the stock and which hedge funds were making big moves. Of the funds tracked by Insider Monkey, Renaissance Technologies, one of the largest hedge funds in the world, holds the most valuable position in NIC Inc. (NASDAQ:EGOV) which has a $26.9 million position in the stock. The second most bullish fund manager is D. E. Shaw’s D E Shaw, which holds a $15.8 million position. Some other hedge funds and institutional investors with similar optimism comprise Joel Greenblatt’s Gotham Asset Management, John Overdeck and David Siegel’s Two Sigma Advisors and Peter Rathjens, Bruce Clarke and John Campbell’s Arrowstreet Capital. We should note that none of these hedge funds are among our list of the 100 best performing hedge funds which is based on the performance of their 13F long positions in non-microcap stocks.